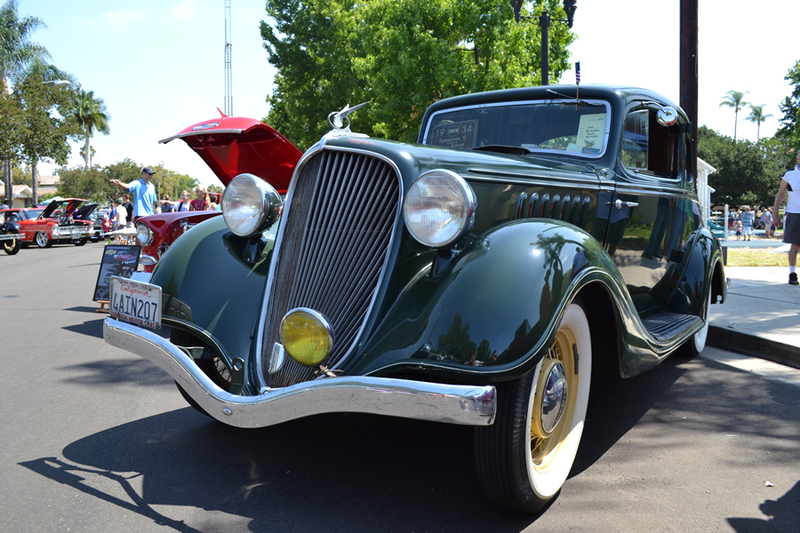 We have featured the automobiles owned by Press Kale more than once on our site. He is one of the nicest guys on the planet and is full of fun stories about his life and his love of Hudsons. 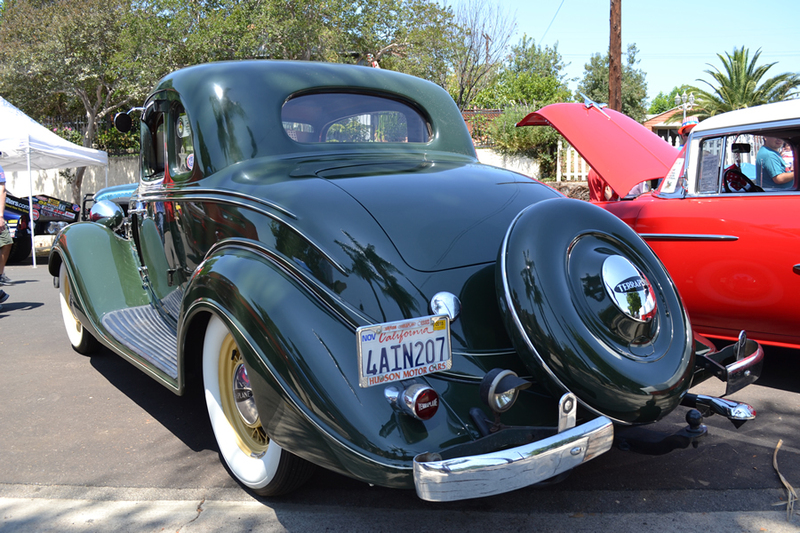 We originally meet Press at the first Brea Country Fair Car Show in 2013 and photographed his 1949 Hudson, his daily driver and a car that has been across the US more then once. 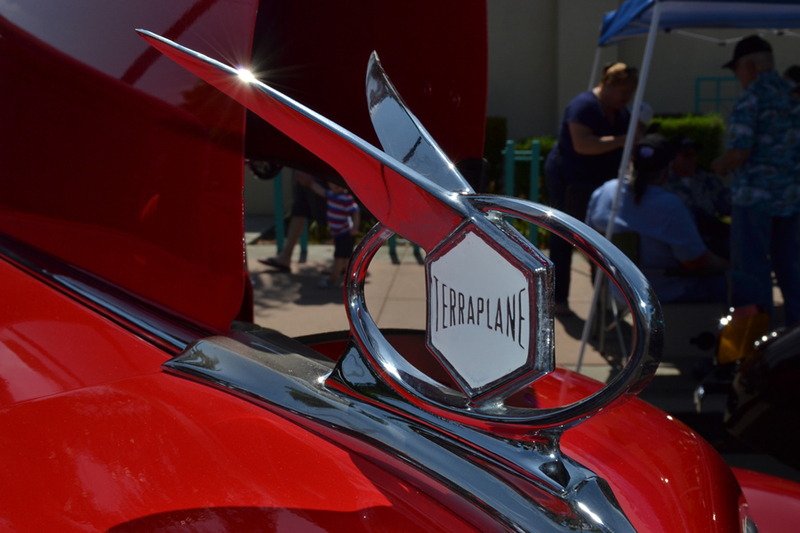 At the time he told us that his Terraplane truck was at the Petersen Automotive Museum for their truck exhibit, so you know we went and checked that one out. 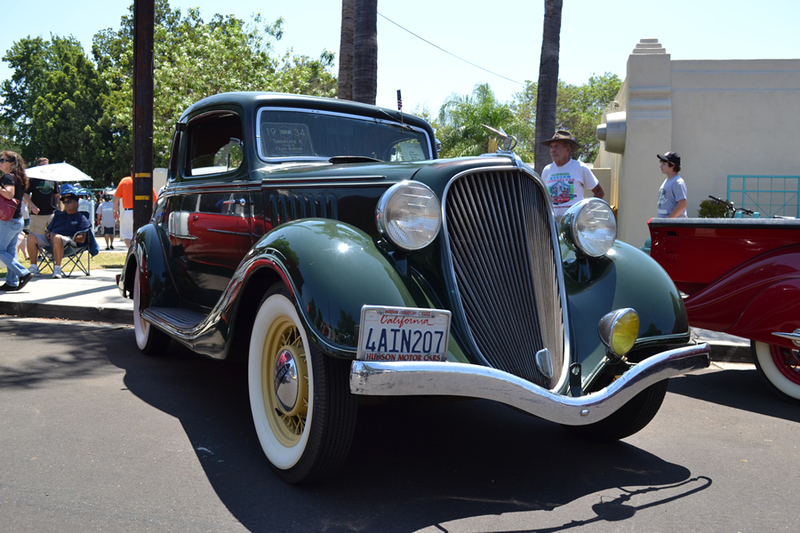 Later on we would run into Press again at Ruby’s Whittier Friday Night Cruise with another Terraplane, a 1937 Utility Coupe. 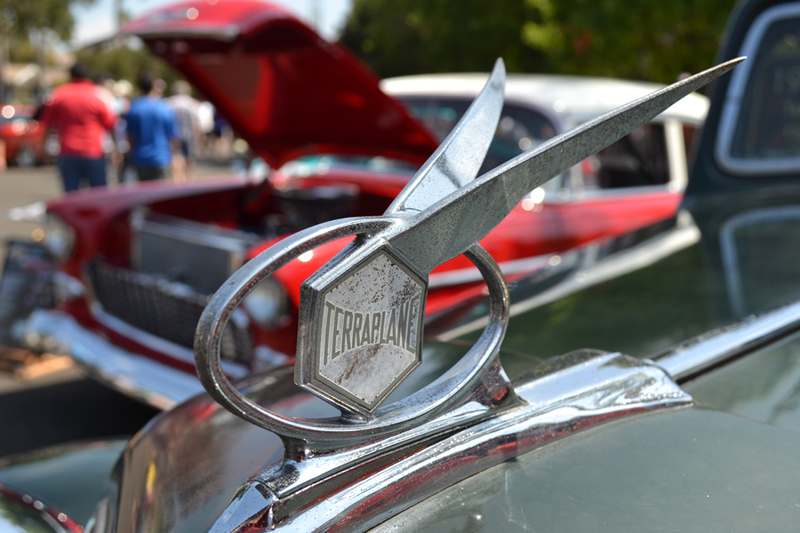 We again ran into Press at this years Brea Country Fair Car Show hangin’ with one of his Terraplanes and to our delight his friend Craig brought out his Terraplane as well. 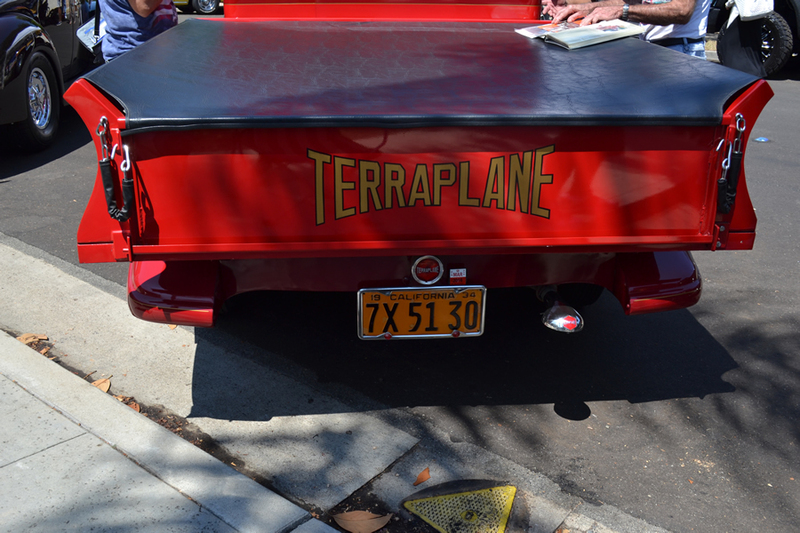 First lets take a closer look at Press’ Terraplane Truck. 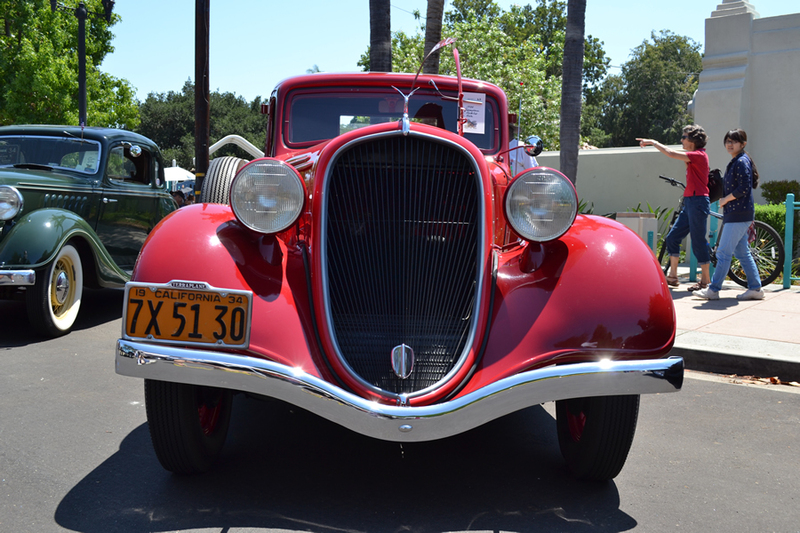 The truck was fully disassembled for the restoration process and took them 6 years to complete. Now when I say disassembled that may be an understatement, the back part of the truck cab is ash wood surrounded by sheet metal that is nailed to it. 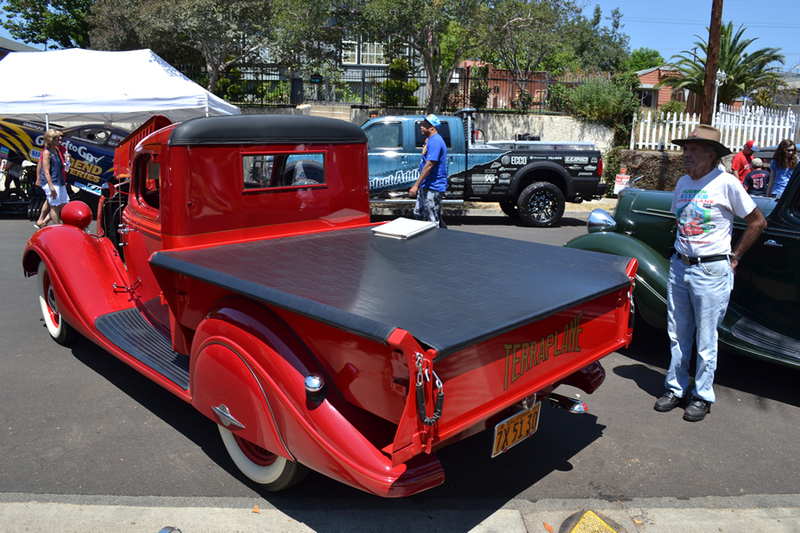 The whole back of the cab was removed and the whole truck was stripped to bare metal and started from fresh. 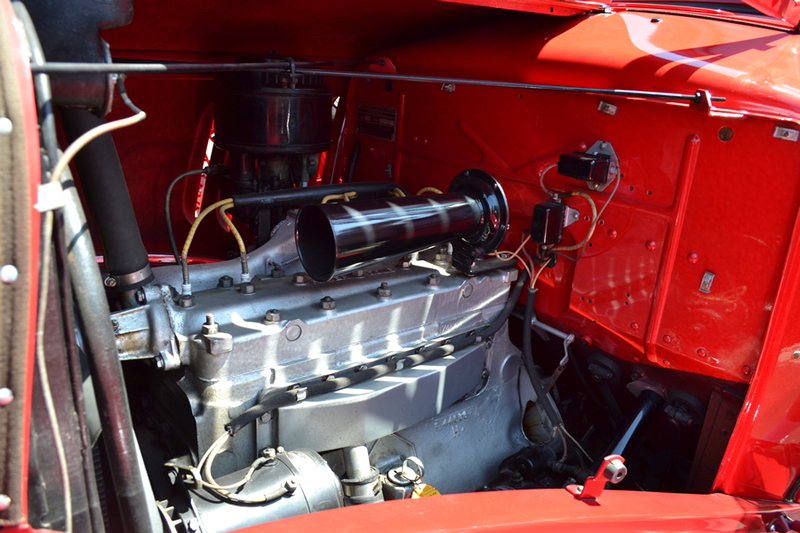 Press told me that the worst part about about putting the truck back together was painting it then driving nails back into the wood for assembly, you don’t want to distort the metal, oh and then having to go back and touch up everyone of those nail heads. 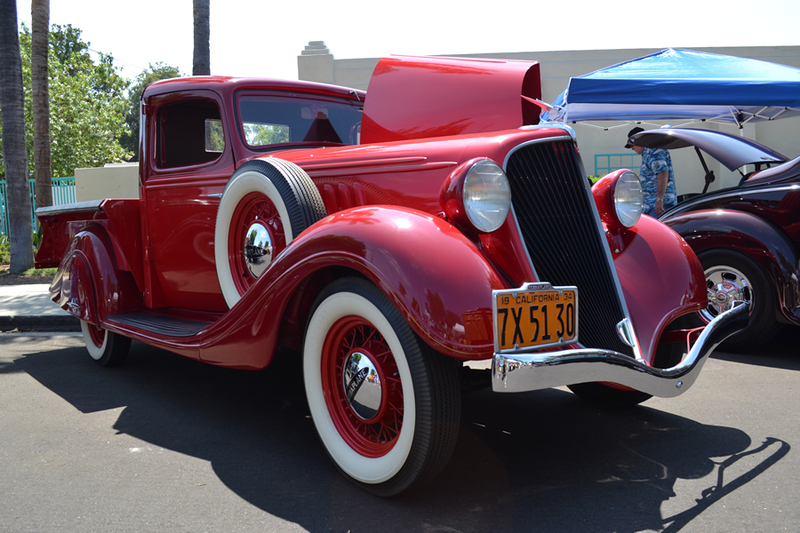 Craig has owned his 1934 Terraplane K for 15 years and this is a definite preservation car. 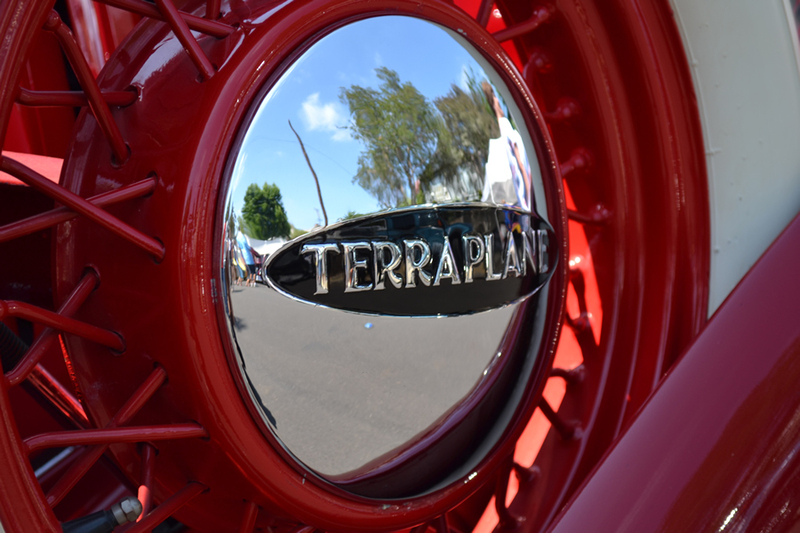 The Terraplane still has most of its original paint, interior and mechanics. 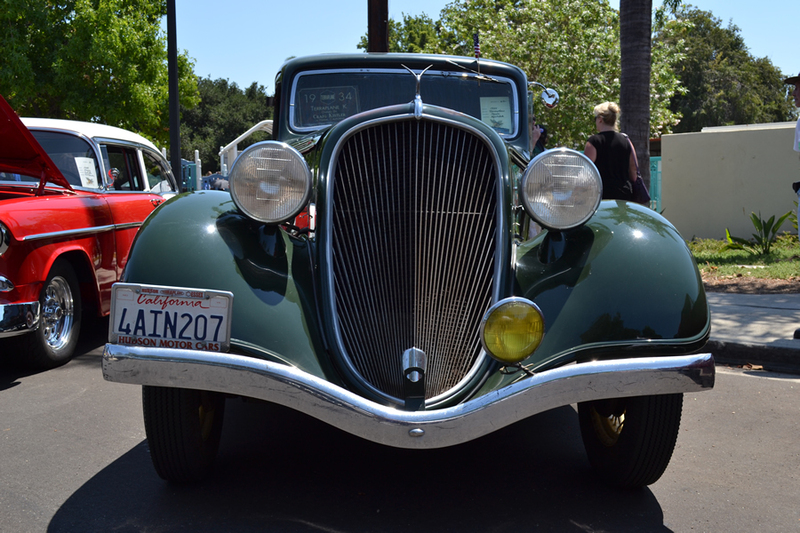 Craig is only the third owner of this car and from what Press tells me, has a huge smile everytime he drives it. 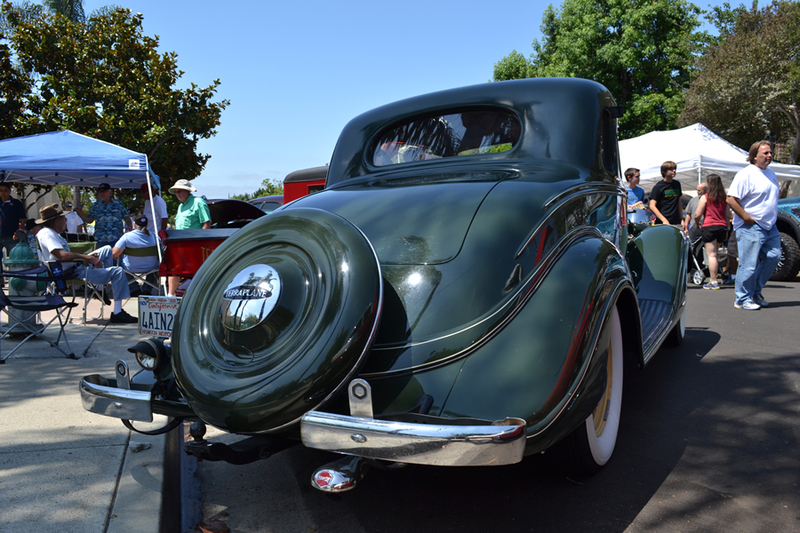 One of the coolest features of this car is something I have never seen before. 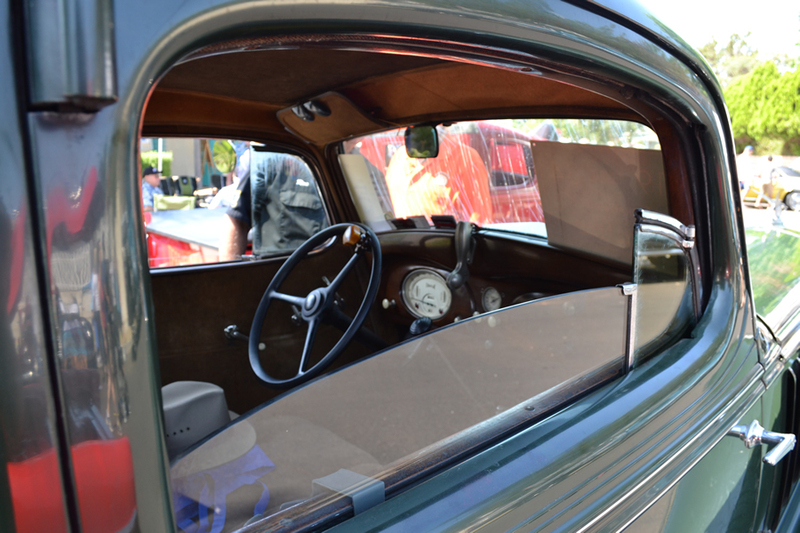 Sure you can have windows that roll up and down, but a wing window? 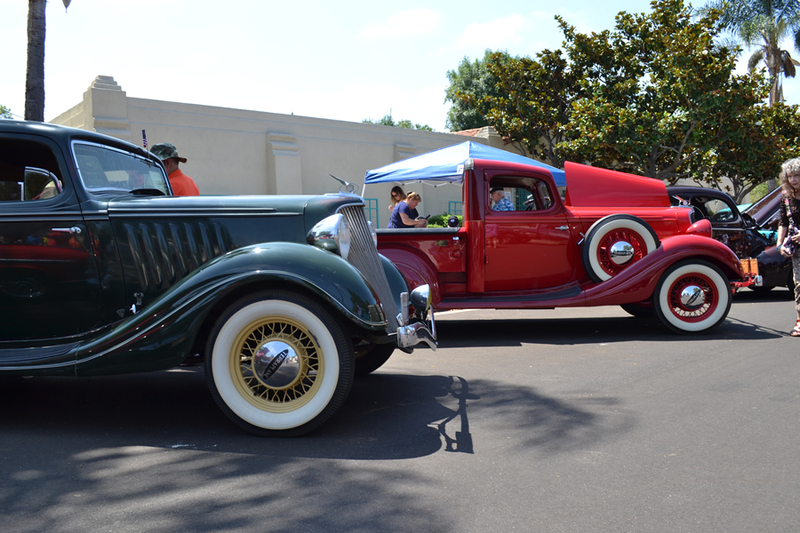 Sure enough this Terraplane has wing windows that roll up and down separate from the windows. We always love running into Press at events and can’t wait to see what next Hudson we can discover him with.